Wall, NJ: Sanitary conveyors in the Pharmafill(TM) line from packaging machinery manufacturer Deitz Co., Wall, NJ (www.Deitzco.com), feature a proprietary approach that sets food-grade, plastic belting within stainless steel construction in an inherently accessible, adjustable design for easy cleaning without disassembly and convenient integration with packaging machinery from any manufacturer. Devised for use in filling and packaging pharmaceuticals, nutraceuticals, foods, beverages, and other products, the modular conveyors are available in variable lengths from six feet to 30 feet and in custom lengths in a choice of dual or single lanes in variable widths, all with dual, standardized rails and mounting hardware for easy expansion. Rail opening, height and shape may also be easily adjusted. Designed to accommodate a wide range of extensions to suit various line configurations, the clever conveyors include pre-threaded clamping brackets that allow spacing wheels, rotary turntables, transfer plates, reject stations and bottle indexing air cylinders to be quickly attached or removed without drilling holes in the conveyor. 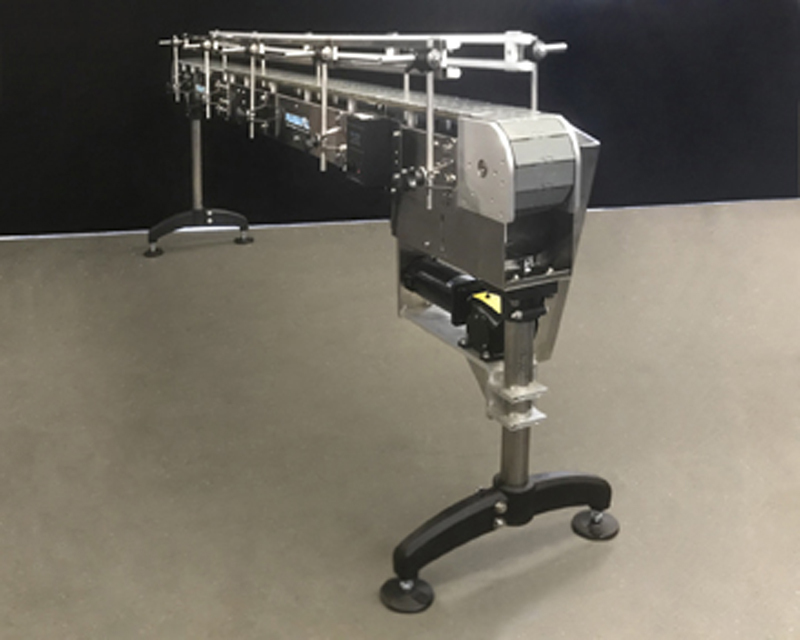 The Pharmafill conveyors come set on adjustable-height support legs as standard for raising or lowering the height based on the filling and packaging line. The conveyors are manufactured and tested at the company’s Wall, New Jersey headquarters and delivered with a full warranty. For more sanitary conveyor information, contact the sales staff, Deitz Co., Inc.; 1750 Route 34, PO Box 1108, Wall, NJ 07719 USA; 732.681.0200; Fax 732.681.8468; www.deitzco.com; sales@deitzco.com.